KREATIVEassassin: Part 3: Genesis Does What Nintendon't, or Play it Loud! Part 3: Genesis Does What Nintendon't, or Play it Loud! The 16-bit console wars! I was there, friends, and I chose my side. It was a great time for gaming, and it is easily my favorite console generation. Don't miss reading Part 3: Genesis Does What Nintendon't, or Play it Loud! One day after school I went to a friend's house and found that he had mysteriously acquired a Sega Genesis model 1 with Altered Beast. I have no idea when exactly he got it, but all I remember is going over to his house one day and there it was. 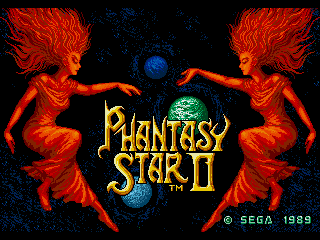 He also had Phantasy Star 2, and something about that game in particular fascinated me. Both games affected me, actually. I found Altered Beast to be extremely creepy with the music and the bizarre images it would show between levels. I thought that I would never want to play this game at night because it was so unsettling. The Genesis was super cool, but I wasn't on board with it quite yet. Then one day after school when I went over to his house, I found that he was renting Sonic the Hedgehog from the local rental store Video Clips. Since Sonic the Hedgehog came out in late June of 1991, so I would place this event sometime around the end of this year. From there, I started seeing commercials for Sonic the Hedgehog while watching Doogie Howser, M.D. (See? Early 90s), and I really started wanting one. Actually, thanks to the magic of YouTube, here is the commercial I saw that sold me on the Genesis and Sonic. I remembered that the commercial ended with Sonic in Spring Yard Zone, so it was pretty easy to find. For Christmas that year, I received a Sega Genesis with Sonic the Hedgehog as the pack-in game from my parents, and a copy of Spider-Man from my grandparents. My grandma made me open the present in the bathroom so my cousin wouldn't see it and get jealous. I assume she got him something far less cool. This was around the same time I was getting into comic books, so I absolutely loved the Spider-Man game. Nothing at the time was finer than the Sega Genesis. I thought that it was vastly superior to the Super Nintendo, and I that it was leagues ahead of the NES. This phenomenon still happens today where people own one game console and hate on the one they don't have for no real reason. The third game I acquired for the Sega Genesis was Golden Axe 2, followed by ToeJam & Earl, both from Toys "R" Us. 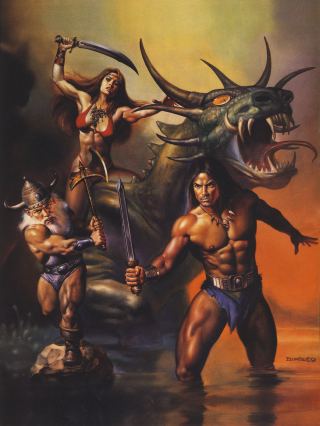 I think the main reason why I wanted Golden Axe 2 was because of the ad for it featured in magazines. The sword the barbarian was holding was cool, and just the picture in general was enough to get me interested. I think I even got Golden Axe 2 for "no reason," i.e., not as a birthday or Christmas gift, which was rare for me. From what I recall, my mom and me went to Toys "R" Us one night and I just got it. After that, again for "no reason," one summer I got Wonder Boy in Monster World. Wonder Boy in Monster World is my favorite Sega Genesis game, and I would probably have it in my top five favorite games of all time. I have almost made a site devoted entirely to this game a few times, but I've never completed it. I have all the sprites ripped from the game and I know it inside and out. Maybe one day it'll hit the Internet. I mentioned it in passing earlier, but I should touch more on the fact that the Sega Genesis was the first instance of me being a fanboy. I thought the Super Nintendo wasn't very good and that nothing it could do would ever top the Genesis. I was adamant in my belief that the Genesis was better, and I didn't give the Super Nintendo a second thought. Genesis does what Nintendon't, after all. 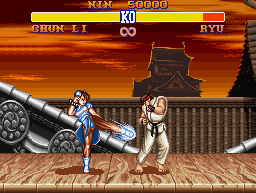 However, I soon came to understand of the concept of exclusives, and it drove me insane knowing that I couldn't have Street Fighter 2. At the time it was only available on Super Nintendo, and after playing it at the same friend's house who had the Genesis, I had to take a step back and rethink my stance on the Super Nintendo. The system seller of 1992! Soon, after actually playing the Super Nintendo more, I came to realize that the games for it were actually really good. I was longing to play ActRaiser, F-Zero, Super Castlevania 4, and Super Mario World, but I couldn't because my console of choice was the Sega Genesis. Eventually I started thinking that I had made a mistake wanting the Genesis over the Super Nintendo, and it was time to eat crow. So, I asked for one, and I got one for Christmas in 1992 along with Mario Paint, Street Fighter 2, and Super Mario World. My grandparents bought me The Legend of Zelda: A Link to the Past, and my dad bought me Super Castlevania 4 that year as well. Soon I got a few more key games, namely ActRaiser for my birthday two months later, and the rest is history. Games for the Super Nintendo were expensive, so I didn't get many throughout the year for no reason. The main reasons I would ever get a game would be because of Christmas, Easter, or my birthday, but there was one more factor in me getting Super Nintendo games: My grandma. Every summer I would stay with my grandparents, and when school would start back up again, my grandma and I would go to Toys "R" Us and buy a Super Nintendo game. Naturally, my Super Nintendo game collection didn't explode until I started going to pawn shops, well after the games for the system had been discontinued. I did have a decent amount of games for it, but for some reason I never got a few games I was always interested in. I had Mega Man X, but not the second or third ones. I had Final Fantasy 2, but not Final Fantasy 3. I didn't have Star Fox. I didn't have Chrono Trigger. I didn't have Secret of Mana. The games I had for the system were all good (with the exception of Family Dog which I ended up trading to Horn's Market for two Genesis games) but looking back on it, I think it was kind of a strange collection. Everyone I knew had the aforementioned key games, but for some reason I just never even thought about getting them. There are so many key games for the system I didn't own when they were new. I wish now that I had played these games in their prime. I wish that I had played through Breath of Fire on the Super Nintendo first instead of the Game Boy Advance. I wish I could share memories of playing through Chrono Trigger with friends, but I can't. I've never even finished Final Fantasy 3, though I have made it fairly far into the Game Boy Advance port. I have seen a friend play through the SNES one several times, though. My Super Nintendo always had a place in my entertainment center, even after I had purchased new systems like Nintendo 64 and Dreamcast. Eventually I just ran out of room to have it hooked up and have my games for it on display, so it got boxed up and all my games for it were put away. In my mind, the Super Nintendo is the best system ever made. It has so many great games for it. True there are a lot of duds, but even those games have some quality to them I cannot explain. Odd how things ended up with the Genesis, seeing as I was so steadfast in my original belief of its superiority. I do like the Genesis, but it definitely doesn't feel the love I give the Super Nintendo.